Marvin Hamlisch got his start as a rehearsal pianist for Funny Girl with Barbra Streisand, and went on to co-create A Chorus Line, write the Oscar-winning musical score for The Way We Were, and win many other awards for the music he wrote for the stage and screen. Hamlisch is one of only a handful of people to win a Grammy, a Tony, an Oscar, and an Emmy. 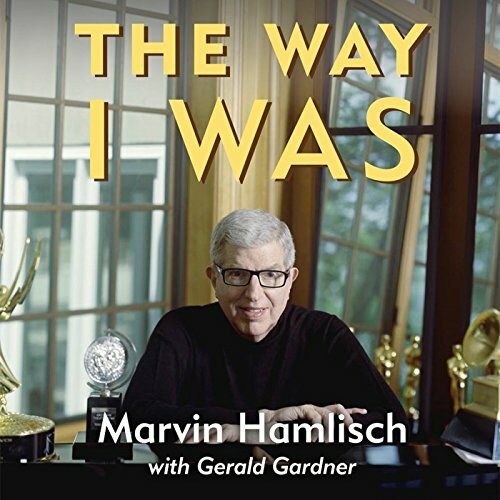 In this revealing autobiography, written in partnership with noted freelance writer Gerald C. Gardner, Hamlisch tells the story of his childhood, his marriage, and his friendships with stars including Liza Minnelli, Barbra Streisand, and Groucho Marx. The autobiography paints a nostalgic and intimate picture of Broadway and Hollywood. After his death in 2012, Barbra Streisand made a tribute to him in her appearance on the 2013 Oscar broadcast. This book includes moving words from Hamlisch's many celebrity friends during the memorial service held shortly after his death. ©1992, 2013 Marvin Hamlisch and Gerald Gardner (P)2016 Audible, Inc.